I've got a super simple DIY safety project for you today. I'm going to show you how to connect freestanding bookshelves or storage shelves together. 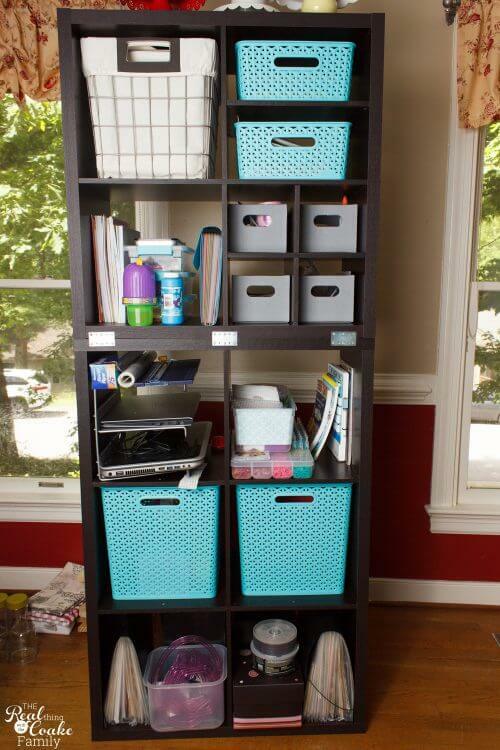 This is perfect for buying storage cubes and creating something custom for your space or doing the same thing with the IKEA KALLAX or IKEA Billy Bookcases. I've connected bookcases and storage shelves together many times around my house. Like when I made the storage unit for my oldest daughter's room using the IKEA Expedit system(now called the IKEA Kallax). If I had added the IKEA Bill extension to the top of the cabinets in my daughter's awkward corner that I turned into great storage, this would have been exactly how I would have secured them. 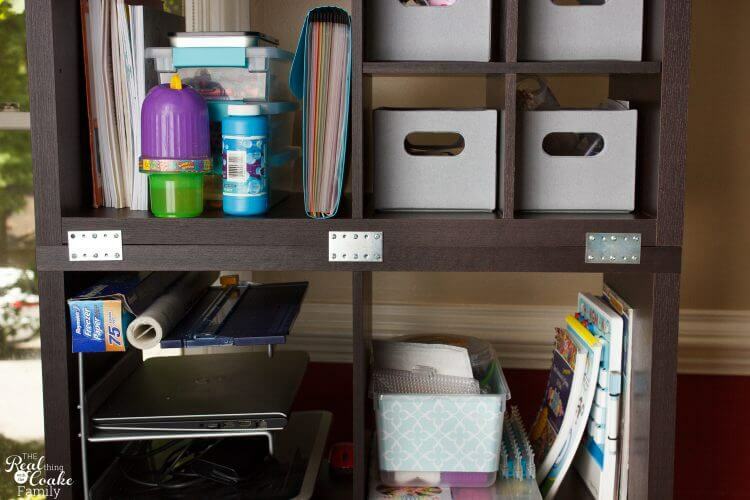 By knowing how to brace or connect freestanding bookshelves or storage cubes, you are going to be able to take simple inexpensive pieces from Target, IKEA or wherever and create something custom that is exactly what you need for the space you have. 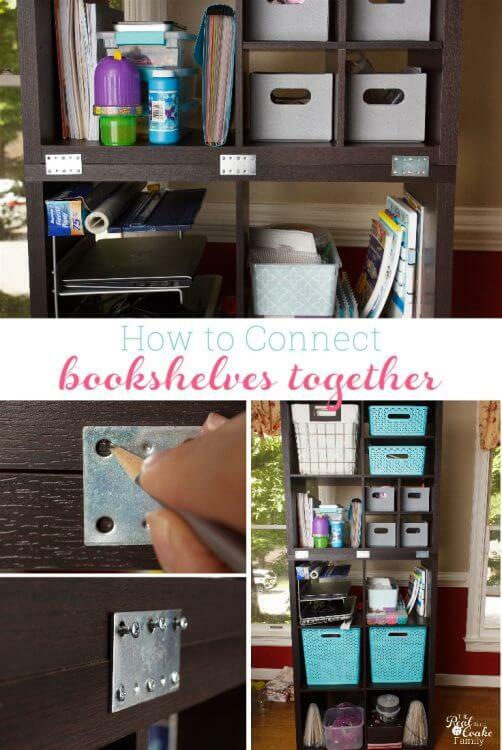 I recently did this with the storage shelves I set up in my office to store craft supplies. If you notice above, I had a 6 cube storage unit(affiliate link) and a 4 cube storage unit(affiliate link). They work perfectly to store what I needed, but as you can see, the top 4 cubes can slide all around. Totally not safe! Especially with kids in the house. It is so easy to fix this problem. 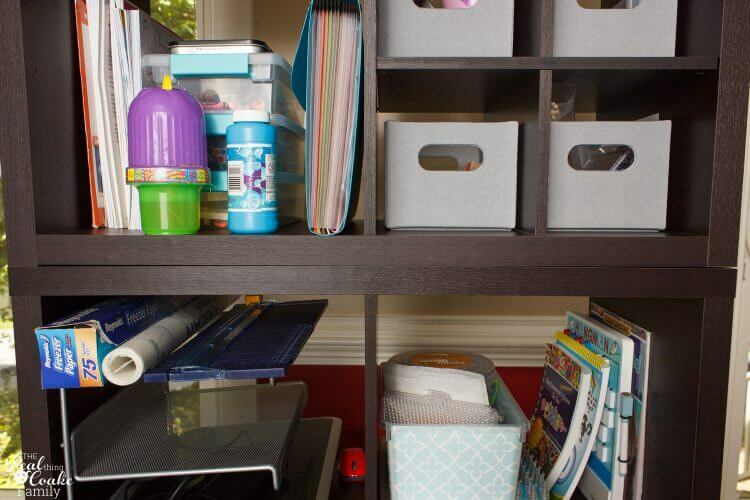 First, you will want to line up the shelves or bookcases you want to brace or connect together. Take your time with this step and make sure you get things lined up front to back and side to side. Measure the amount of space you have for your braces and make sure to buy braces that fit that space. They will come in multiple sizes. 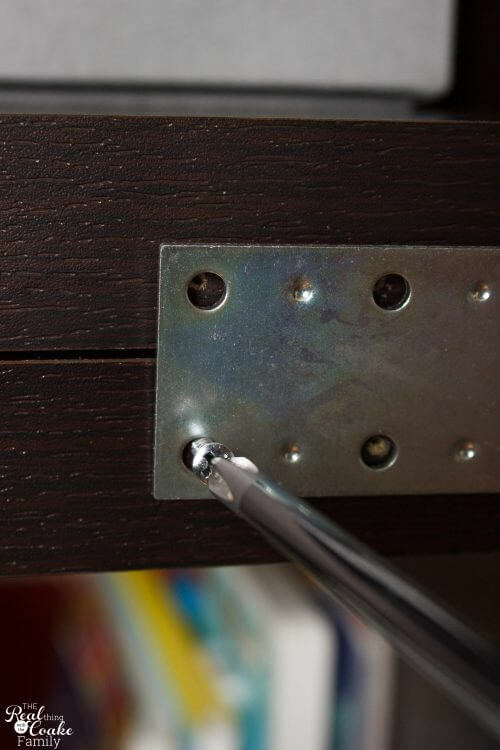 Once you have the proper size braces, mark the holes you need to drill. Now you need to pre-drill the holes. 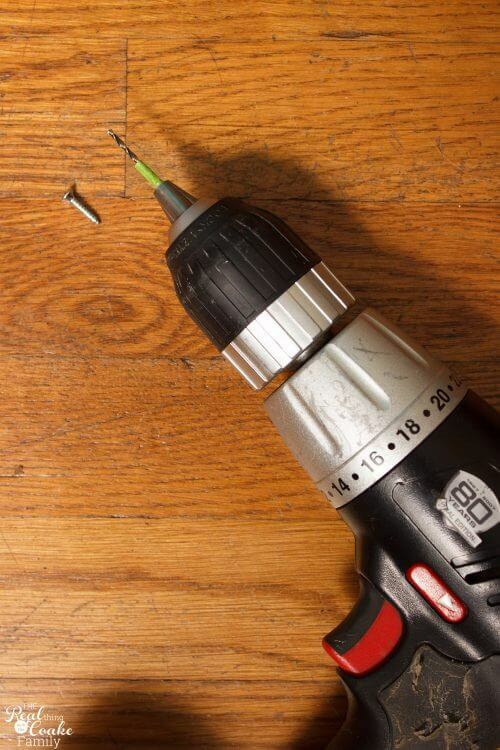 Use a drill bit that is narrower than your screws. You want to allow the screws to grip into the wood. 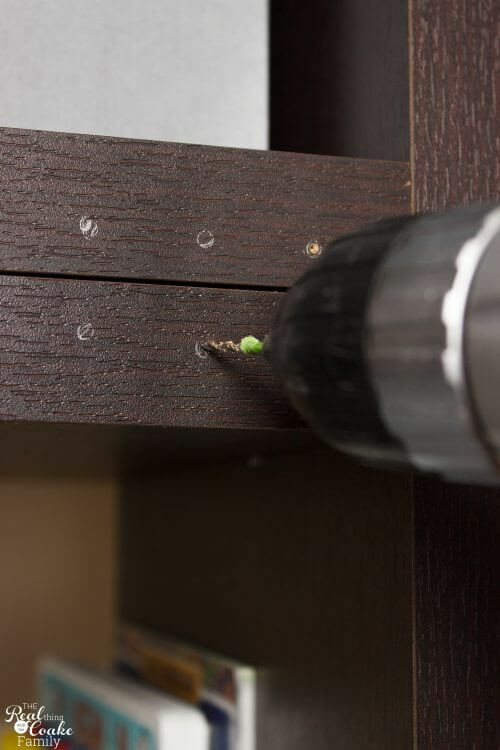 Predrilling is just making it a lot easier to add the screws, not making a huge hole for them. TIP: I like to mark the depth to which I want to drill with a small piece of painter's tape. That way I know when I am drilling when I have hit the correct depth and I am able to stop drilling. 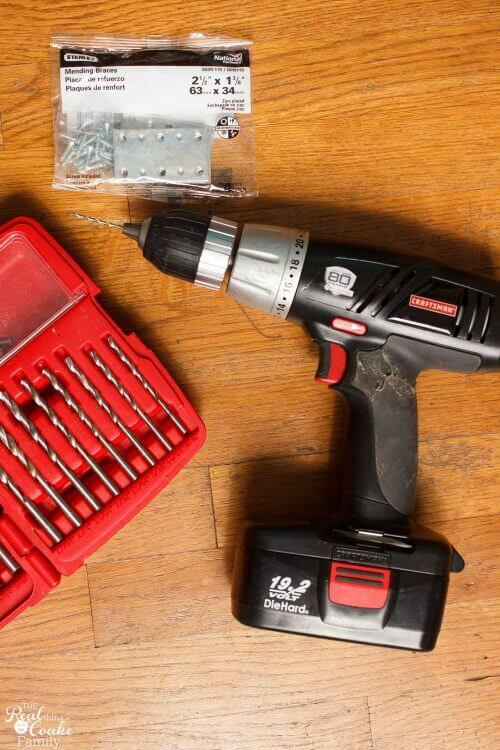 Use a screwdriver and add your screws. At this point, you do not want to tighten the screws all the way, only about half way. 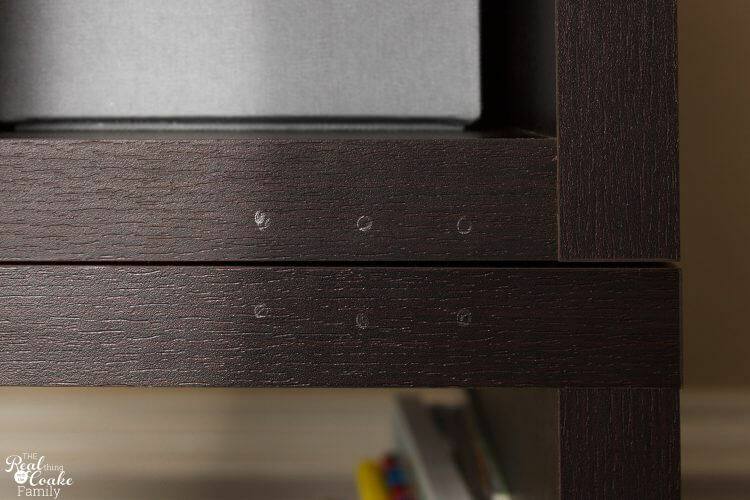 If you screw them in all the way as you go, you will end up moving your bookcases or shelves and they will be off center. Once you have all your screws in, tighten the bottom half of all the screws. Then tighten one from each brace in the top section, adjusting the bookcase or shelves as needed to keep things lined up and flush front to back and side to side. 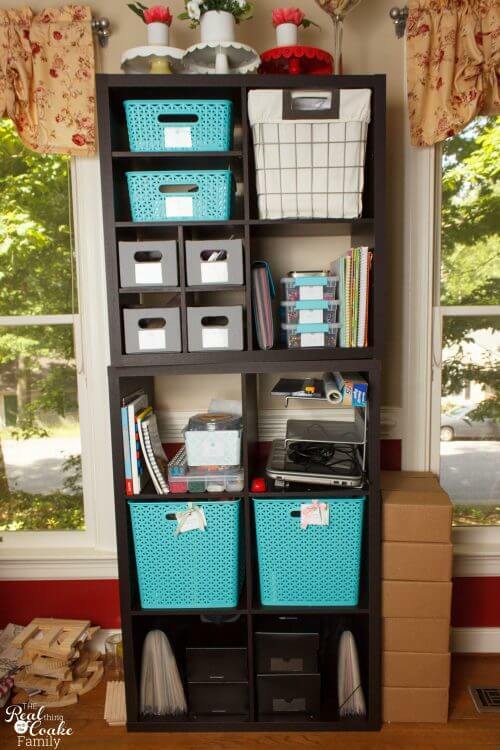 When you have finished this process you have connected freestanding bookshelves or storage cubes together. They are secure and much safer! It only costs a couple of extra dollars and allows you to make your home a touch safer. You will find that things will be much less wobbly. If you live in an area that has earthquakes, you will want to follow this up by using a strap meant to secure the bookcase to the wall. Then you will be as safe as you can be with your newly customized storage solution. 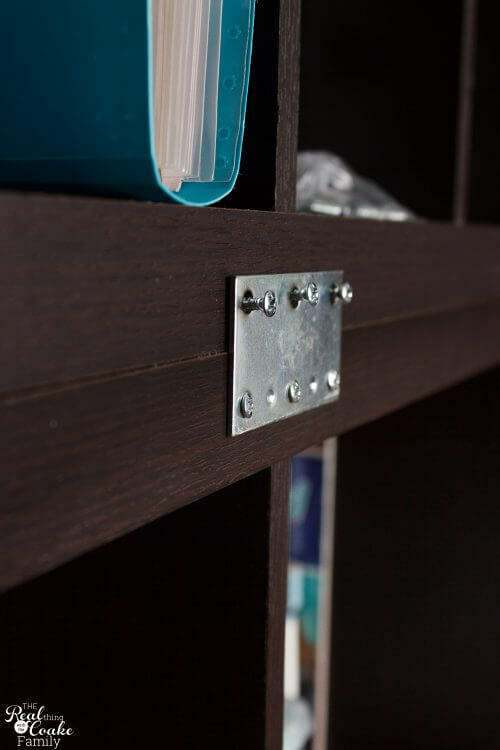 I think the possibilities for using braces on cabinets and bookcases seems endless. I love how inexpensive it is and how easily I can customize something for my needs. Works for me…and now for you as well! Enjoy the DIY fun! 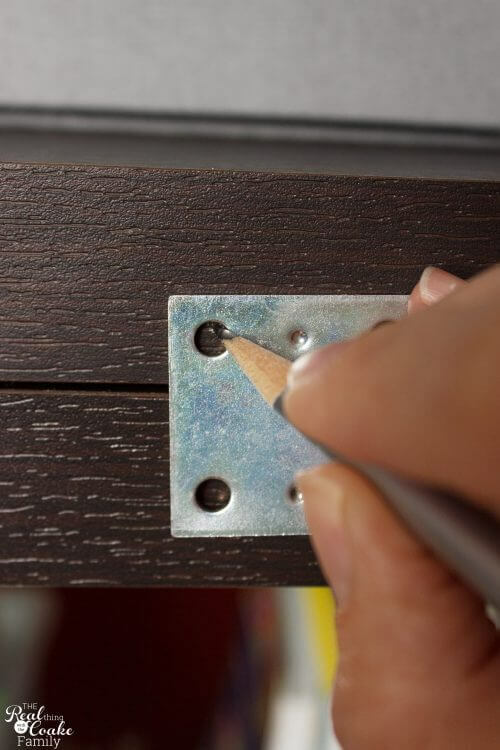 What's the first project your going to tackle with this super easy hack? Leave me a comment below. Can't wait to hear all the fun projects! And for more great DIY ideas, follow my Pinterest board. This might be a stupid question, but do you brace on both sides of the shelves, like front and back? I know that should be obvious for most people haha. Not a dumb question at all. No, I only braced on the back of the shelves. Sorry, it took me so long to reply to you. I hope it wasn’t too late to actually be helpful.